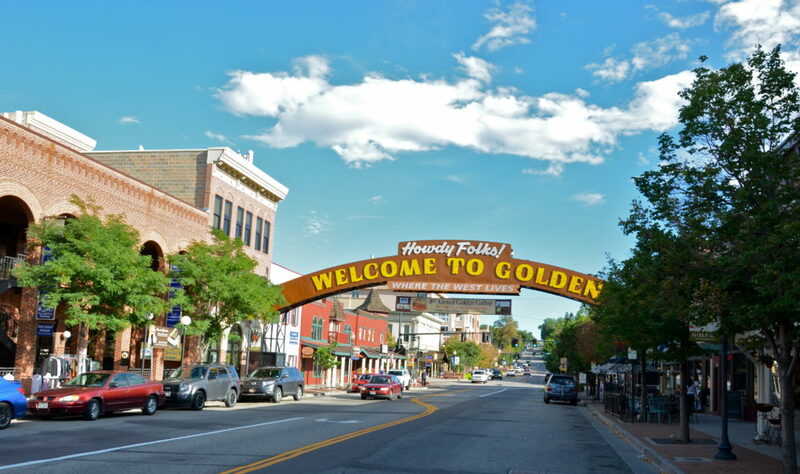 Are you coming to Golden, Colorado for the 2018 3D Collaboration & Interoperability Congress? Here we present Action Engineering’s favorite eats and sights around downtown Golden, all within short walking distance of the American Mountaineering Center, unless otherwise noted. Click here for an interactive Google map with markers indicating the event venues, parking locations, and our favorite eats and sights. Fill up your tummies and get your caffeine fix before the event begins! Café 13: Pastries and heartier breakfast options with responsibly sourced coffee. Located on Arapahoe St, around the corner from Table Mountain Inn. Opens at 6:30 am on weekdays. Golden Diner: Perfect for when you’re craving a diner breakfast. Located on 12th Street, just one-half block east of Washington Ave. Opens at 6:00 am on weekdays. Bridgewater Grill: Full breakfast menu including culinary creations of their executive chef. Located inside Golden Hotel. Opens at 7:00 am. Higher Grounds: Coffee shop with light breakfast far. Located on 14th St, just across from Table Mountain Inn. Opens at 5:30 am on weekdays. Sassafras American Eatery: Specializes in Southern cuisine. Located on Washington Ave across from Golden Hotel. Opens at 7:00 am. Table Mountain Grill & Cantina: Start your day with country biscuits and gravy, omelets, benedicts, smoothies, and skillets, or their signature huevos rancheros. Located inside Table Mountain Inn. Opens at 6:30 am on weekdays. Windy Saddle Café: Serious coffee and homemade food in a cozy Western atmosphere. Located on Washington Ave between Table Mountain Inn and Golden Hotel. Opens at 6:00 am on weekdays. These are our favorite lunch and dinner locations in downtown Golden. Early closing times are noted. Bob’s Atomic Burgers: A local favorite hole-in-the-wall burger joint. Good gluten-free buns and quinoa burgers, too. Located near 13th St & Ford St.
Woody’s Wood-Fired Pizza: The all-you-can-eat pizza buffet is a favorite among locals and tourists alike. Across the street from Table Mountain Inn. Colorado Plus 49 Cidery & Pub: Fresh, creative pub food with a long draft list of ciders & beers from breweries around the country. Located at 11th St & Arapahoe St.
Sherpa House: Authentic Himalayan cuisine. The interior is an authentic representation of a typical Sherpa house in the Solu-Khumbu region of Nepal. Many of their staff have summited Mt. Everest. Located at 16th St & Washington Ave.
Abejas: Upscale restaurant dedicated to seasonality, with fresh local produce, organic meats, and sustainable fish. Next door to Table Mountain Inn. Closed Mondays. Café 13: Yummy sandwiches, soups, and salads. Located on Arapahoe Street, around the corner from Table Mountain Inn. Closes at 6:00 pm. Indulge: Trendy bistro and wine bar. Catty-corner to Table Mountain Inn. D’Deli: Counter-serve joint with dozens of classic and creative sandwiches. Located near 12th St & Washington Ave. Closes at 5:00 pm. El Callejon: Quaint eatery with homestyle Colombian & Latin-American fare. Located near 12th St & Washington Ave. Closes at 5:00 pm. Sassafras American Eatery: Specializes in Southern cuisine. Located on Washington Ave across from Golden Hotel. Closes at 2:30 pm. Bridgewater Grill: Enjoy New American fare along Clear Creek. Located inside Golden Hotel. Ali Baba Grill: Authentic Lebanese and Mediterranean cuisine with beautiful Middle Eastern ambiance – don’t let the strip mall location fool you. You’ll probably want to drive here (only 3 minutes from the American Mountaineering Center), but this place is too good not to mention. Golden has no shortage of watering holes! Golden City Brewery: Golden’s original craft brewery since 1993. Until the recent explosion of other breweries in town, their tagline was “Golden’s second largest brewery”, a joke compared to behemoth Coors. Relaxed outdoor setting and truly great beer. Only brats and pretzels on the menu, but you can have food delivered. Located near 11th and Cheyenne St. Closes around 8:00 pm. Miners Saloon: Modern day saloon reminiscent of Golden’s mining days in the late 1800s. Gold Rush-inspired decor sets the tone at this tavern serving craft beer, cocktails, and casual eats. Located in Miner’s Alley near 12th and Arapahoe St.
Mountain Toad Brewing: Popular local craft brewery with a selection of local food trucks for their daily menu. Located across on Washington Ave across the street from the American Mountaineering Center. Barrels & Bottles: Large selection of craft brews, both their own and guest taps, as well as wines & wine slushies. Baguettes and side plates to fuel your hunger. Located at 12th St. and Ford St.
Golden Moon Speakeasy:Speakeasy style cocktail lounge and distillery tasting room featuring handcrafted drinks in warm environs with a vintage vibe. Get locally distilled spirits on the sly. Tucked away secretly behind Myer hardware store. Holidaily Brewing Company: The only dedicated, gluten-free brewing facility in the state of Colorado. Just a 7 minute drive from downtown Golden at 93 & Ford. Coors Brewery: Free tours and tasting room. Colorado School of Mines Geology Museum: Incredibly well done displays of minerals, fossils, gemstones, meteorites, and historic mining artifacts, at the #1 ranked engineering university in the United States according to College Factual. Golden History Museum: Learn about the colorful history of Golden. Closes at 4:30 pm. Closed Tuesdays. Lookout Mountain: Drive up 19th Street to the top of Lookout Mountain for stunning views of Golden and Denver. Stop at the top to visit the Buffalo Bill Museum and Grave. Drive west on I-70 into the mountains. Stop at historic Georgetown, founded during the gold and silver rushes of the 1860s. Have extra time to spare? Ride the Georgetown Loop Railroad. Clear Creek Trail: Do yourself a favor and take a stroll (or run) along Clear Creek through the heart of Golden. North Table Mountain: Several loops offer easy to moderate hikes, with beautiful vistas and abundant wildflowers. Trails are usually more trafficked than South Table Mountain. South Table Mountain: Like North Table Mountain, South Table offers several loops of varying difficulty. Panoramic views of the downtown Denver skyline are particularly gorgeous at sunrise. Lookout Mountain: Short, easy hike with plenty of shade, where you’re very likely to see local wildlife. Mount Galbraith: Stunning views and easy-to-follow trail, best on a cloudy day or in the evening due to high sun exposure. Chimney Gulch: Steep climb from Clear Creek all the way to the top of Lookout Mountain, rewarded with the best views of Golden and an easy return downhill! Golden Community Center: Full fitness center, pool, and climbing wall for your daily workout. Day passes available for $6.25. Kindness Yoga: Yoga studio in the heart of downtown, offering a rich variety of classes for every skill level. Earth Treks: Huge indoor rock climbing and bouldering gym, with yoga and fitness classes, too. Just a 7 minute drive from downtown Golden. Fossil Trace Golf Course: Widely considered one of Denver’s top golf courses, you’ll see triceratops footprints and other prehistoric fossils along the green. Check out the Visit Golden website for more ideas. Enjoy your stay in Golden!